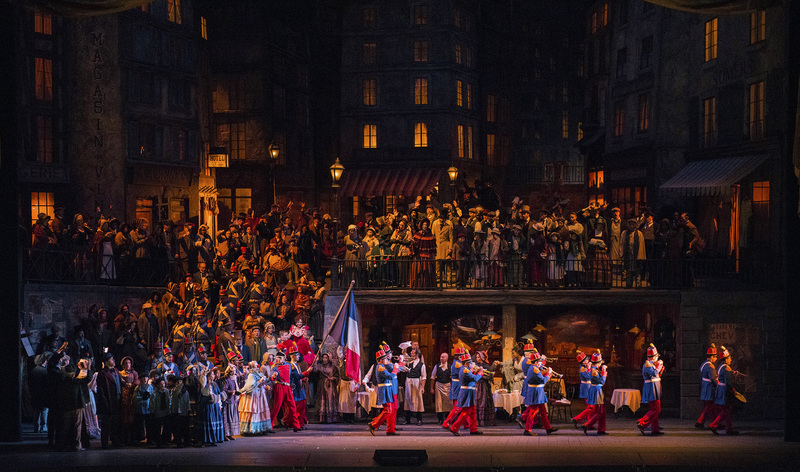 There’s a lot of buzz around the Metropolitan Opera’s recently announced fall season lineup. Expect some surprises, your favorite conductors, and many Met debuts. When it comes to planning a visit to the Metropolitan Opera—whether you’re an aficionado or a first-timer—the possibilities are as endless as the crazypants second act of The Magic Flute. The repertoire stretches back 400 years, from the genre’s earliest stirrings in 1600s Italy, to the German and French classics of the 19th century, all the way up to present day. Each year, the storied institution hopes to fill its 3,800-seat venue, accented with those iconic gold starburst chandeliers. The new season has been announced, and most of the surprises are in the fall (spring brings a remount of Robert Lepage’s spectacular Ring Cycle). Here are some takeaways and trends we spotted for the next few months. Yes, the Met presents new American operas. It’s not all Verdi, Wagner, and Mozart: The Met puts on new (or fairly recent) operas every season. October 19 brings Marnie, composed by American wunderkind Nico Muhly. Based on the 1961 novel that Alfred Hitchcock also made into a movie, this stylish psychological thriller revolves around the mysterious motives and shifting identity of its elusive title heroine, played by the bewitching Isabel Leonard. Broadway directors fluff the classics. The Met continues to dip into the Broadway well for staging the classics, and this season is no exception. Marnie is directed by Michael Mayer, currently represented on the Great White Way by the fizzy delight Head Over Heels. 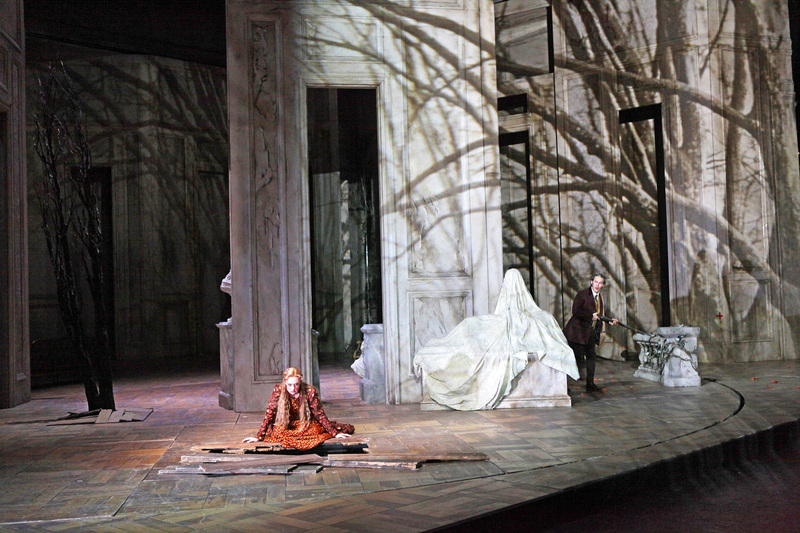 Mayer will also helm a sumptuous new version of Verdi’s La Traviata (opening December 4). But first, the ingenious Darko Tresnjak (Tony Award winner for A Gentleman’s Guide to Love and Murder) will make his Met debut with a new look at Camille Saint-Saëns’s sensuous biblical tragedy Samson et Dalila (opening September 24). The casting department keeps it in the family. Lovers of opera flock to productions headlined by beloved divas (and divos): They’ll have their pick of Anna Netrebko (Aida) and Jonas Kaufmann (La Fanciulla del West). But it’s also a place to hear great singers making their Met debuts. This fall, it’s Australian soprano Nicole Car as Mimì and her real-life husband, Canadian baritone Etienne Dupuis, as Marcello in La Bohème (performances start September 25). Let’s hope they leave work at the office! It’s hard to overstate the importance of conductors. They’re driving the musical bus, after all, and their expertise is the difference between a bumpy ride and a glorious journey. Incoming music director Yannick Nézet-Séguin will jump into the saddle two seasons early to conduct the new La Traviata and lead revivals of Debussy’s Pelléas et Mélisande (beginning January 15) and Poulenc’s Dialogues des Carmélites (May 3). Meanwhile, the fiery Gustavo Dudamel makes his Met debut in December, conducting Verdi’s Otello in Bartlett Sher’s 2015 production, starring Stuart Skelton in the title role, with Sonya Yoncheva reprising her acclaimed Desdemona and Željko Lučić as Iago. There are deals for the taking. You don’t have to go bankrupt to attend the opera. Tickets to the Met start at just $25, with more than a third available for less than $100. There are also rush tickets, student tickets, and Fridays Under 40 tickets available. The passions onstage run high, but prices don’t have to!